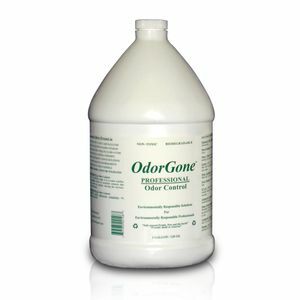 16oz bottle of OdorGone Professional. 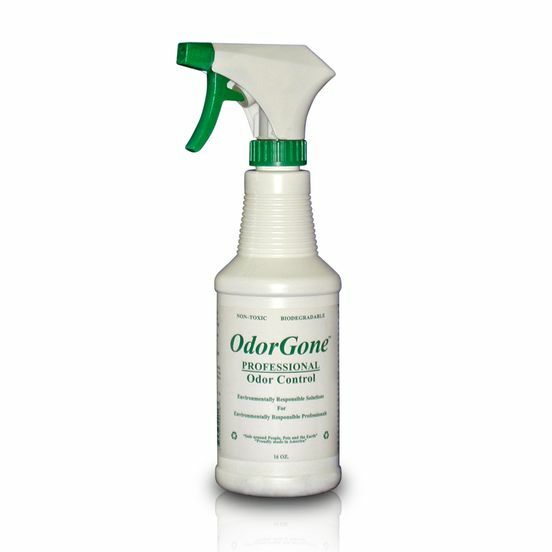 OdorGone Professional is an environmentally responsible stand-alone, professional strength odor neutralizer for professionals in the service industry. 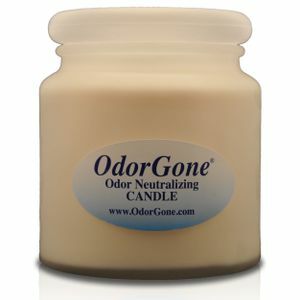 OdorGone is specifically formulated for emergency odor neutralization and daily odor control of the unlimited variety of noisome odors that pop up at the worst time. 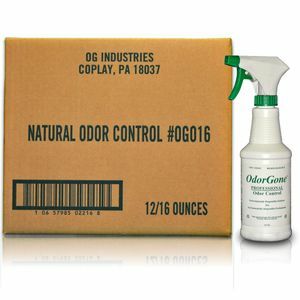 OdorGone will complement sanitizers, enzyme based carpet cleaners and stain removers and will replace the hazardous chemical masking agents and perfume fragrant products available today. OdorGone will leave a truly clean and odor free environment. After OdorGone does its job, there is no smell at all! OdorGone and has a 100% satisfaction money back guarantee. Works on fuel odor too! Sprayer Included.